All CREST VIEW PARK homes currently listed for sale in Mesa as of 04/23/2019 are shown below. You can change the search criteria at any time by pressing the 'Change Search' button below. "Classic 3 bedroom, 1 bath 1,542 sq. ft. NO HOA! 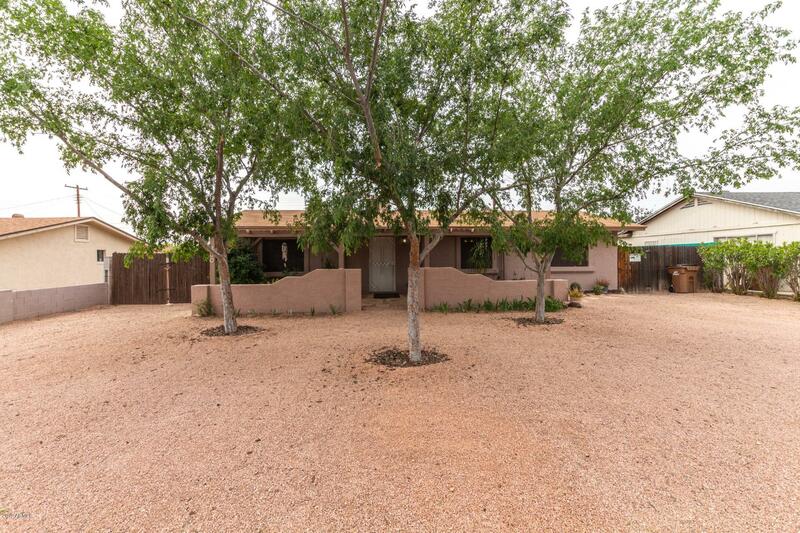 Home, tucked away within quiet Mesa neighborhood. Pristine, low-maintenance desert landscaping on oversized lot. Vast backyard equipped with covered patio, sprawling grass, RV gate, and storage shed. Bring your RV & ATV toys! Ceiling fans installed throughout. Stylish remodeled kitchen boasts crisp cabinetry, tile countertops & backsplash, dual sink, disposal, NEW dishwasher & appliances w Stainless Steel Refrigerator! Cozy family room, perfect for"